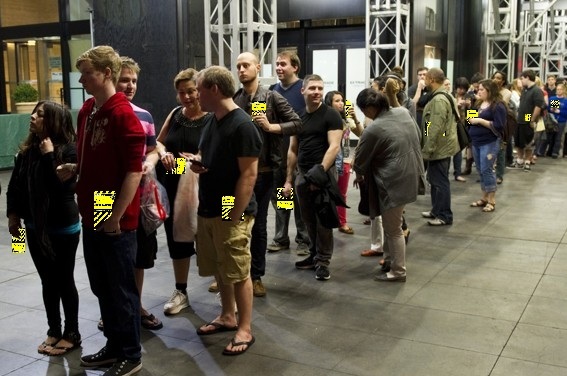 LONG ISLAND, NY - (TWITTER: @The Comedy News) - Fans of The Great Gatsby are lining up at movie theaters nation-wide in anticipation of the Cliff's Notes version of the film. "Two-and-a-half hours to see a book turned into a movie? I might as well read the damn thing! That's why I'm seeing the Cliff's Notes version of the film, The Great Gatsby," exclaimed Rodney Porter, a 32-year old private school English teacher. 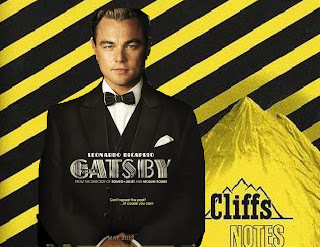 While the feature-length film production of the classic book starring Leonardo DiCaprio as Jay Gatsby lasts 143 minutes, the Cliff's Notes version of the film will cover the plot, apex, and denouement in only 15 minutes. 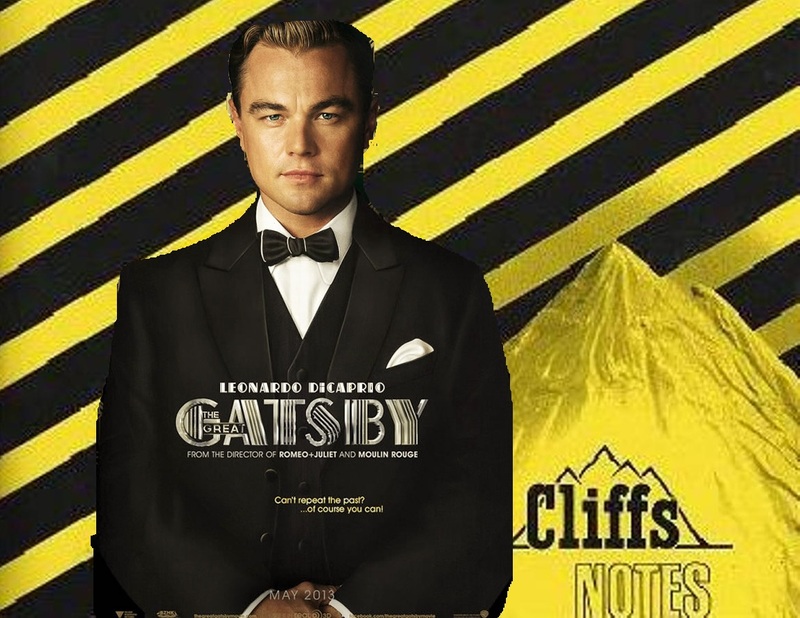 Promotional poster for the Cliff's Notes version of the film. Producers of the film were well aware of the general public's limited attention span and waning appreciation for the original book---which topped out at 180 pages. "We knew that most people are slackers and can barely appreciate a decent book, so we made sure that our film version of Gatsby would have a Cliff's Notes version to bring the C-Student and below demographic to theaters," said executive producer Baz Luhrmann. "This Gatsby Cliff's Notes flick is only 15 minutes---just long enough for me to record an entire bootleg video of it on my iPhone." "Never thought they'd make a prequel to Titanic, but my dreams have come true!" "I'm taking my kids because there's a character named Zelda. They loved the video game." "Right off the bat, this was first line in the book: 'In my younger and more vulnerable years...' Not a chance was I gonna finish that book with all those weird yee oldey Engrish words. I'm just glad the movie producers were sympathetic to people like me." Even though it is only 15-minutes long, the Cliffs Notes edition of The Great Gatsby film still will cost movie-goers about $12 for an evening ticket---four times the price of a used copy of F. Scott Fitzgerald's original book on Amazon.com.